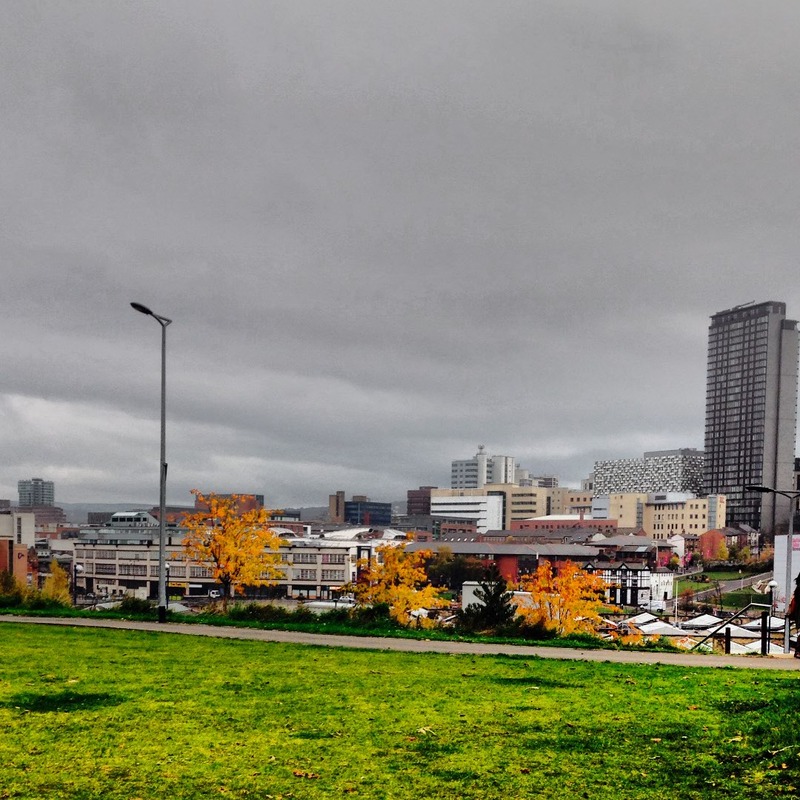 Today's post is all about my fall guide to Sheffield. I was recently contacted by Eventbrite and asked if I'd like to produce a fall guide to my city in order to help support local businesses in Sheffield. Of course I jumped at the chance as I absolutely love Sheffield, it's one of my favourite places and I have so many memories here so I thought seems as though I've been living here for 3 years now I would share with you my Sheffield travel guide and give you the inside information on the best places to stay, shop, visit and eat in the famous Steel City. I've only stayed in Jury's Inn in Sheffield as I live her whilst at Uni so have always had a place to stay, however I have heard many good things about hotels in Sheffield. The Copthorne Hotel is situated adjacent to the Sheffield United Football Ground and is renowned for being quite posh! If you're on a budget then the Mercure chain is always a good banker. My boyfriend had his work Christmas party in the Mercure and it looked amazing! It's very central too so if you're after somewhere where there isn't far to walk to the shops then this is your best bet! The Leopold Hotel is another central hotel and is situated in Leopold Square (you'd never have guessed it would you!?) If you're after somewhere a bit more traditional and grand then this is determinately the place for you! As I mentioned earlier, Jury's Inn is the only hotel I've stayed at in Sheffield and I've got to say I had a brilliant experience. The bedrooms are spacious and the hotel itself is really nice. It's another hotel fairly central and close to the shops whilst still being within a short walking distance to the train station! I would definitely recommend! I mean you can't come to Sheffield without visiting the amazing Meadowhall! There are soooo many shops to choose from and if you go during the Christmassy period you get a bonus of the new ice rink, which I must say is amazing and SO much fun (even if I can't ice skate to save my life!) There is a huge range of shops at Meadowhall and lots of restaurants to choose from when you need a break from all the shopping! Definitely a must visit! 1. Sheffield has some beautiful Botanical gardens down Ecclesall Road and it's lovely if you just want to go for a nice walk away from the city, but not actually go that far! 2. There is also the Museum at Kelham Island which is a great day out for families! 3. If you're a football fan there is two grounds in Sheffield with games on every weekend! I'm yet to tick this off my Sheffield bucket list but I've heard it's a great atmosphere and I can't wait to go in the New Year. 4. Like I previously mentioned, if you like shopping then you can't really come to Sheffield without visiting Meadowhall. 5. If you like gambling then the Genting Casino on Arundel Gate is a great place to go. I've been to numerous events held there in the function room and will also be hosting "Killer Casino" murder mystery evening in February within the casino as part of my Event Management degree! The staff there are really friendly and the cocktails are fab too! Definitely worth a visit! My boyfriend and I eat out a fair bit in Sheffield whenever we get the chance to spend time with one another. My personal favourite has got to be the Italian Kitchen on Ecclesall Road. When I lived up there during my second year of Uni I honestly used to go all the time. The food there is sooo good and the staff are really welcoming and friendly too! I'd also recommend Piccolinos in St Paul's Square just behind the centre of town. There is a great atmosphere there and makes for a lovely "date night" evening! So there you have it! 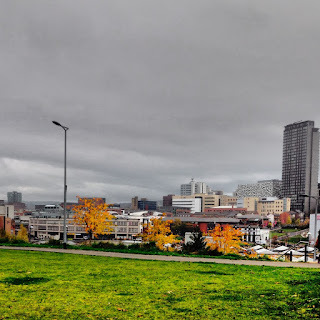 I hope you enjoyed this post about my favourite things to do in Sheffield and it's inspired you to come to the city and give it a visit. Check out the Eventbrite Event Management page which helps to support local event creation! If you enjoy these sorts of posts then please do let me know in the comments below :) I love hearing all your feedback!